Scholars of religion have a term for the common practice of adherents to a religious tradition that do not always perfectly fit into the doctrinal teachings of that religion — folk religion. This is in contrast to the normative doctrinal teachings of a religion often dubbed “state religion.” This is most often noted in Jewish history as the drive by the ancient Jewish monarchy of the 6th century BCE to centralize worship in Jerusalem with an organized Temple worship and priesthood. The ‘folk religion’ of the time, however, preferred a sort of blending of local pagan customs and the normative priestly cult. If people were not worshiping idols or eating non-kosher food there would have been no need for the Torah to repeatedly warn against worshiping idols or eating non-kosher food. It’s as the old adage goes, society does not develop laws people are already following. Since becoming an ordained rabbi, I have rarely been faced with needing to fulfill the role of mar d’atra (Aramaic for, literally, “master of the place”). In that role a rabbi acts as a posek (Hebrew for, literally, “arbiter”) and makes halakhic decisions for her or his community. However there is one topic about which I have been asked repeatedly by numerous people in my congregation — Mourners’ Kaddish. To contextualize this, let me say a few words about my congregation. The average age in my community is probably around 65-70. I have regular attendees who are in their 90s and older. Needless to say, it is an aging congregation. To give you an idea, I recently buried three people in one week. My congregation is made up of many transplants — people who moved to this community from somewhere else. However, many of my congregants are 4th or 5th generation in this community. That being the case, almost everybody who is actually born and raised in this community is related to everybody else even if just as distant cousins. Even though halakhah dictates that people only say Kaddish for one one of the seven relatives whom they must mourn for — parents, children, siblings and spouses — people in my community will often come to shul to say Kaddish for their grandparents, aunts, uncles and cousins. 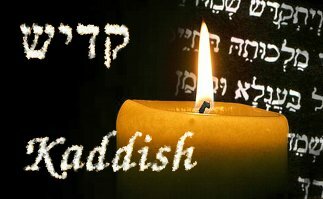 Kaddish has become so important in this community that during daily prayer services the names of those who left the world that day throughout the 120+ year history of the synagogue are read aloud and if someone knows who the person was and their story, that story is shared. On Shabbat, the names of those for the entire coming week are read aloud. Most days, although we try, we do not make a minyan — unless someone is observing a yahrzeit. Kaddish is truly the ‘folk religion’ of this little community. Another proof, to me, that Kaddish has taken on the symbol par excellence of folk religion in contemporary normative Judaism is the role it has taken on in pop-culture. 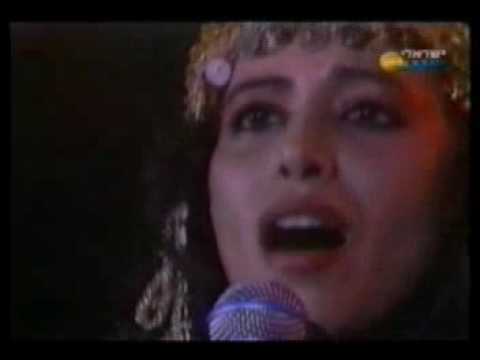 There is, of course, Alan Ginsberg’s famed narrative poem, Leon Westeltier’s memoir of mourning, Ofra Haza’s haunting song, apparently there was even an episode of the X-Files with the same title. It fascinates me that this Aramaic prayer, the vernacular of Jews at the time the prayer was composed by Babylonian rabbis but now a language even more obscure and foreign to most contemporary Jews than Hebrew, has taken on such incredible importance. Most people, in my experience, are completely unaware of its history and origin and are often shocked to learn that, by Jewish standards, it is a relatively new prayer and the custom of saying it while mourning or on the anniversary of a death is even more new. It is a stark reminder, as a congregational rabbi, that the customs and needs of any given community vary drastically depending on the location and demographic of said community. It is also a stark reminder that the needs of an individual or community to express their spiritual and religious desires how they see fit will almost always override the proscriptions of doctrinal norms. There was a time when I may have felt that a practice such as saying Kaddish without a minyan or on a date other than the actual yahrzeit was somehow dangerous to normative practice. Now, however, when faced with real, live people facing the need to find comfort in an uncertain world and seeing that these people seek to express their need for that comfort from within their faith tradition brings me much hope and recognition that religion is not driven by clergy and practitioners, but by its adherents. How low can they go??? I have regularly been posed the question along the lines of “if we can drive to shul, why can’t we say Kaddish without a minyan? well put, and I remember that as yingeleit in yeshiva yehe shmeh rabba were the most important words to say with kavanah. On the Ask the Rabbi TV show, Fridays in Israel, there are more questions asked about Kaddish and other mourning observances, than any other topic. @ Miri: the question asked is typical of those asked by many who live outside a halachically influenced system. I work closely with a woman rabbi who is often asked to perform intermarriages. The assumption being that if she is so liberal as to avoid the old standard of men only – she must be OK with everything else. But if one asks “If driving is allowed then why not…” then why not ask this about virtually any normative Jewish law or prohibition? Because there has been a group of legal scholars who have determined that there can be a liberal position on a specific issue should not mean that they automatically ought to have the mandate to find a way around all prohibitions. Doesn’t the late date of the mourner’s Kaddish and absence of any mention of it in the most authoritative halachic sources evidence that the folk religion/religion distinction is dubious. @sash-that’s an interesting point. I don’t believe that we can draw that conclusion though. another great example would be simhat torah. this is a holiday which the rabbis vociferously disagreed with, and lost. kaddish is actually case and point that the distinction is not precisely because it was designed for a specific intent and then appropriated by the non-rabbinic public for their own uses. that the rabbis ended up accepting such things as simhat torah or mourners’ kaddish is, if anything, a testament to rabbinic pragmatism in incorporating folk religion into state religion. If you’re not in mourning (an ovel) or observing a yartzheit, you should not be saying Kaddish, PERIOD. It was for this reason that our ancestors in Europe – those who were not required to say Kaddish but felt this primal but halachically incorrect “urge” – hired “batlumim” or idlers to do what many Americans now inappropriately feel is their duty or obligation. It is far worse than maris ayen to give the false impression that you are an ovel (or observing a yartzheit) to others, no matter how good your intentions are… remember — and bal tchuvahs note well — being “too good” is recognized under the laws of loshen hora as having the same effect as speaking with evil tongue on behalf of the sotton. that’s the whole thing… rabbis and other jews who observe halakhah can put as many periods as they want after a law, but amcha will do what amcha will do. simhat torah is case in point. the rabbis said no, period. and today we have simhat torah. kaddish itself is case in point. 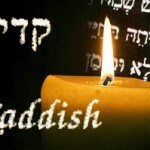 kaddish was never intended for mourners. the only reason it is today recited by mourners is because amcha took control of it. this is precisely the point of my observations. even if i made a psak and told these people they had to stop, they’d keep doing what they do because they find it important. What’s interesting is that Kaddish Yatom is one of the best known of the prayers among Amcha. For many, its the only reason they’re coming to services. Most have no idea what they’re saying unless its recited in English as well. Some theorize it has always been thus. I’m sorry to hear that you are unable to control your community. Here in Cleveland we have several Orthodox communities where nearly nobody would say Kaddish by themselves. I don’t think it is the job of any community leader to “control,” it’s the job of a rabbi to make Judaism relevant in peoples’ lives. Plus, no one has any idea what people do in the privacy of their own homes. But I appreciate hearing that Jews in Cleveland are so much holier Jews in other places.